All Santa Clara homes currently listed for sale in Santa Clara as of 04/25/2019 are shown below. You can change the search criteria at any time by pressing the 'Change Search' button below. 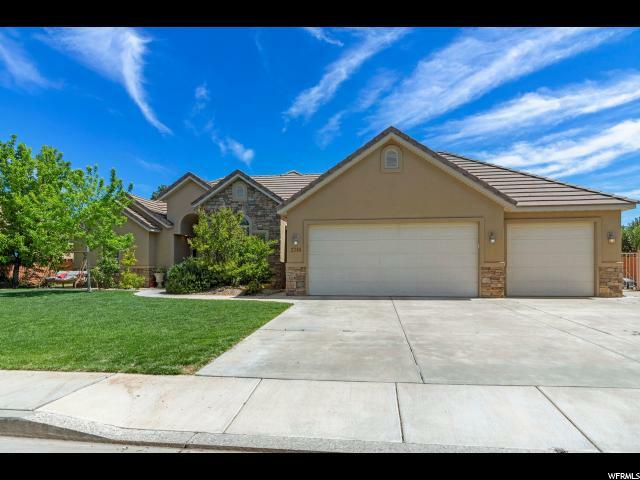 If you have any questions or you would like more information about any Santa Clara homes for sale or other Santa Clara real estate, please contact us and one of our knowledgeable Santa Clara REALTORS® would be pleased to assist you.
" BEAUTIFUL CUSTOM HOME*COMPLETELY REMODELED*ALL THE UPGRADES YOU'D EXPECT & MORE*10' CEILINGS*SOLID WOOD 8' DOORS*CUSTOM CHEFS KITCHEN*QUARTZ COUNTERTOPS*BUILT-IN SUBZERO FRIDGE/FREEZER W/CABINET FRONTS*WOLF COOKTOP*HUGE HIDDEN PANTRY*TIERED THEATER ROOM*GAME ROOM*2 LAUNDRY ROOMS*DRINKING FOUNTAINS*CROSSFIT GYM*WATER PURIFICATION*INDOOR/OUTDOOR CAMERAS, ALARM AND SURROUND SOUND*RESORT STYLE POOL*"
"This well-built home features include an impressive entry hall, formal living room with cozy double-sided fireplace and spacious formal dining room. The delightful kitchen is open with a large island, cozy dining area, stainless steel appliances and tons of cabinetry. The striking staircase leads to the upstairs master offering magnificent views, vaulted ceilings, double sided fireplace, Hunter Douglas blinds and covered balcony. You'll enjoy soaking in the oversized jetted tub or curl up around the fireplace and gaze... The shy acre landscape is mixed with xeriscape, mature shrubs and trees and a large pool adding to the experience and magic of these incredible surroundings. The property extends beyond the walls for perhaps a sport court? 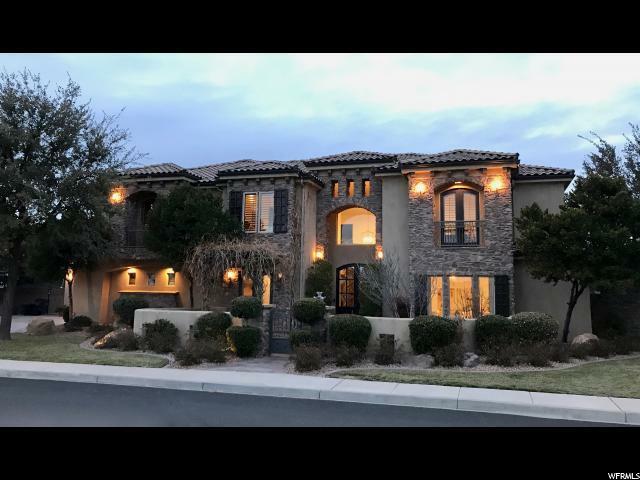 The home boasts 6 spacious bedrooms and 5 baths which include a private attached guest casita with living room, kitchenette and walk-in closet. The oversized garage measures 946 sf with cabinets and workspace area. Much of the home has fresh paint, carpet, LVP flooring and some new light fixtures and fans. The unfinished basement is just waiting for a creative mind. Temperatures are perfectly maintained with 2 Heat Pumps and 3 zones. Pure Tec Water system. Listen to music in and out with the built-in surround system. It's rare to find a home for sale in this area and it's equally hard for the Seller to let go. " "This is a Turnkey home with a good rental history in a highly coveted Award Winning approved nightly rental community. 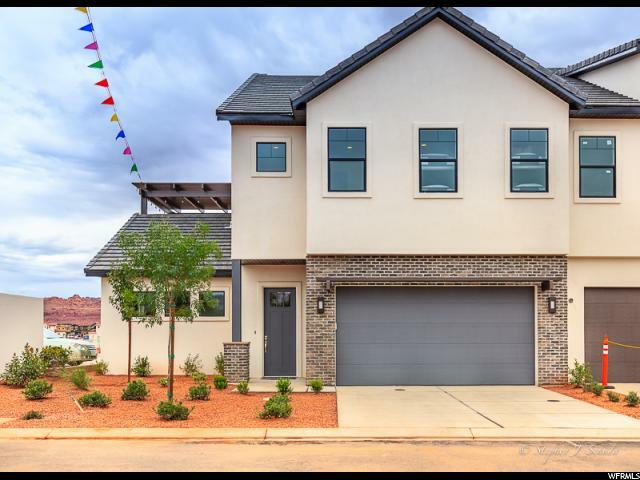 Paradise Village Features Southern Utah's best amenities including a custom two tiered pool, 2 big hot tubs, a water park, lazy river, clubhouse, gym and next door to Gubler Park for quick access to 6 pickle ball courts, sand volleyball, soccer field, splash pad, playground and more. 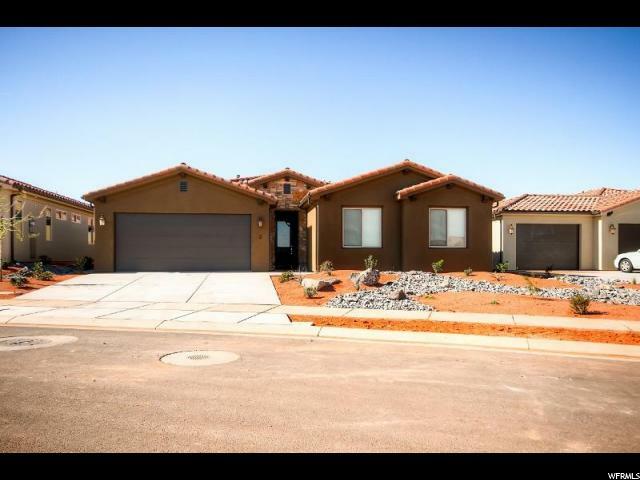 This home offers a nice open floor plan and is very well located close to all the amenities. The owner spared no expense as this home has more upgrades than most the homes in Paradise. Upgrades include: stainless steel appliances, plumbing and fixtures, all electrical, wired for surround sound & security cameras throughout, energy efficient reflective heat barrier and R50 attic insulation, upgraded flooring, and custom kitchen back splash, extended living room sq footage with a covered back patio and private hot tub! Ideal setting for your family and entertaining. " " Fully Furnished nightly rental home in Paradise Village. 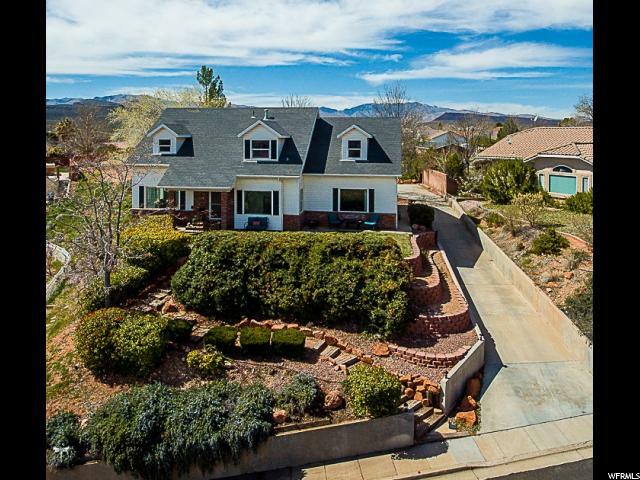 4 Bed 3 Bath 2 Car, Views or Red Mountain and Snow Canyon. Amazing amenities. 2 pool complexes with water slides, hot tubs and etc." "Beautiful rambler located in the highly sought after nightly rental approved subdivision, Paradise Village. Paradise Village received the Best of State Award, winning the Nightly Rental Community. Location cannot be beat with the views of Snow Canyon. Incredible amenities include a custom 2 tiered pool with a large hot tub, slide, custom rock waterfall and workout room. In addition, a brand new water park just opened with slides, lazy river and another huge hot tub. Just minutes to Snow Canyon and Gubler Park. Enjoy the walking/biking trails, pickle ball courts, sand volleyball, soccer fields, splash pad, playground and baseball fields. This stunning home has been completely customized w/surround sound, oversized couch & a large dining area. This property provides the opportunity to come enjoy & create lasting memories with the flexibility to offset the cost of ownership by renting it out. This 3 bed, 3 bath, single floor living sleeps 12 guests and is ADA approved. Nice open floor plan is perfect for entertaining, that extends out to a covered patio with BBQ, fire pit and custom stone fireplace. Must see the 2 master bedrooms with bath attached, plantation shutters and bunk room with trundle for additional sleeping. 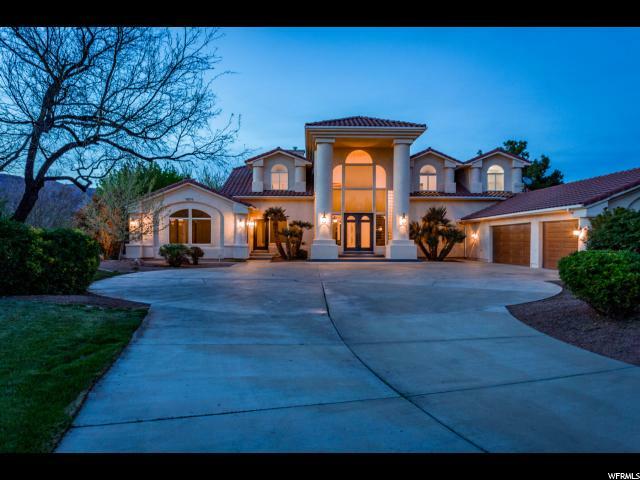 This home is an absolute must see!! Please contact Derrick Clark for more details!" "Location Location Location! This is a Turnkey home right by the clubhouse, pool and large open green space. Very well acquainted with a lot of nice upgrades. Has a good rental history and is located a highly coveted Best of State- Award Winning nightly rental community. 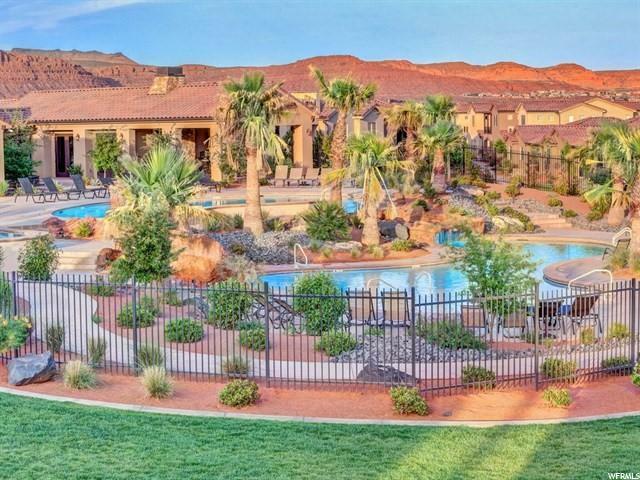 Paradise Village Features Southern Utah's best amenities including a custom two tiered pool, 2 big hot tubs, a water park, lazy river, clubhouse, gym and next door to Gubler Park for quick access to 6 pickle ball courts, sand volleyball, soccer field, splash pad, playground and more. This home offers a nice open floor plan and is very well located close to all the amenities. Upgrades include: stainless steel appliances, plumbing & light fixtures, upgraded flooring, and custom kitchen back splash. Ideal setting for your family and entertaining." "Overnight rental with quality and affordability. 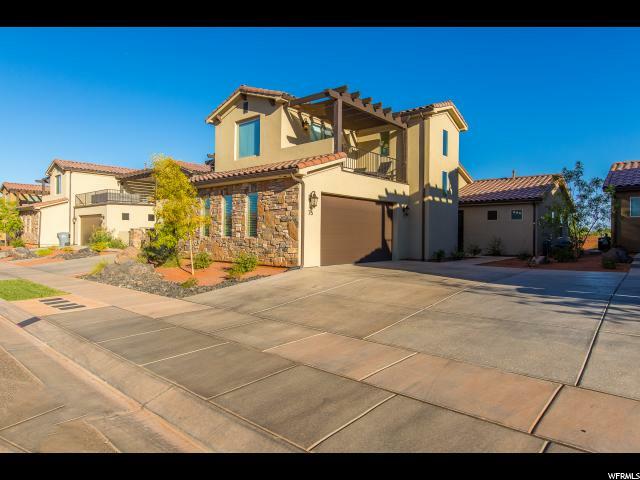 Ocotillo Springs, Santa Clara's newest vacation rentals. No upgrades needed..10 ft. ceilings, 8ft. 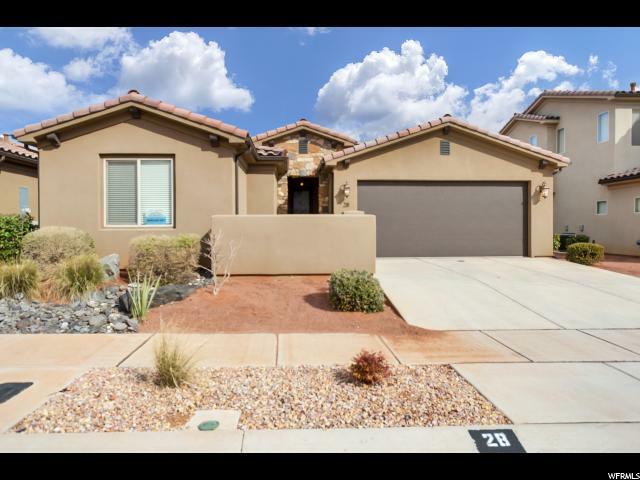 doors, 2X6 construction, two car garage, views of Snow Canyon, pool with spa and splash pad..granite counter tops, upgraded cabinets and appliances. Incentive package on model units available today. 3 and 5 bedroom units also available starting at $369,900. Call for details." "THE CHAMPION of Vacation Rental locations, Paradise Village at Zion has the finest in amenities, swimming pools AND ITS OWN PRIVATE WATER PARK. Approved nightly rental/vacation property. Flexibility to use when YOU want to. Enhanced with EVERY upgrade offered since Seller occupies as their full time residence with occasional openings for public nightly rental use. Master suite on main level. Sleeps up to 14 people. Backs up to Lava Ridge field. Bike paths, Snow Canyon State Park & Tuacahn are only minutes away. Tranquil, safe & conventional location. AN INVESTORS DREAM & A GUESTS DIVINE WONDERLAND ABODE." 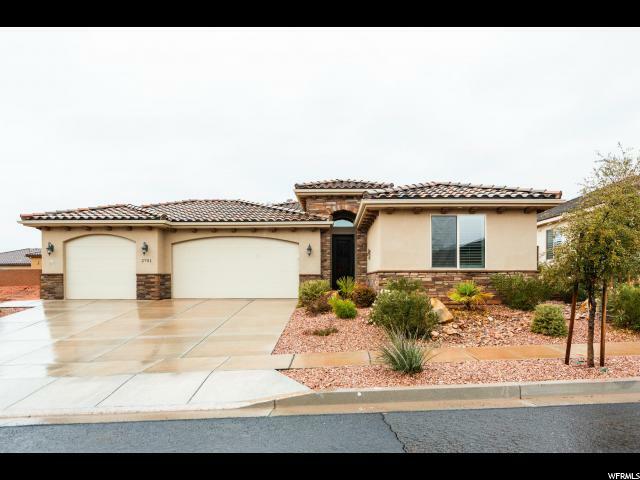 "This SPACIOUS HOME is a must see for the money! GREAT VIEWS! The large 4,702 Sq. Ft. home includes NEW Paint, Granite Countertops, Plantation Shutters, New Carpet, Refinished beautiful Wood Floors. Two GREAT ROOMS. LARGE KITCHEN w/ Island and plenty of Counter Space, STAINLESS STEEL APPLIANCES, and Walk-in Pantry. The Master Suite has a MASSIVE Walk-in Shower. The 2nd floor has a Mother-in-law suite with kitchen. The OVER-SIZED 2 Car garage has it's own bathroom and area for a workshop, .28ac lot has RV parking and room for your toys. " "Great Vacation Rental Community with amazing amenities. 2 pool complexes with water slides, hot tubs and etc. Unit has decorator furnishings, turn key, ready to rent. 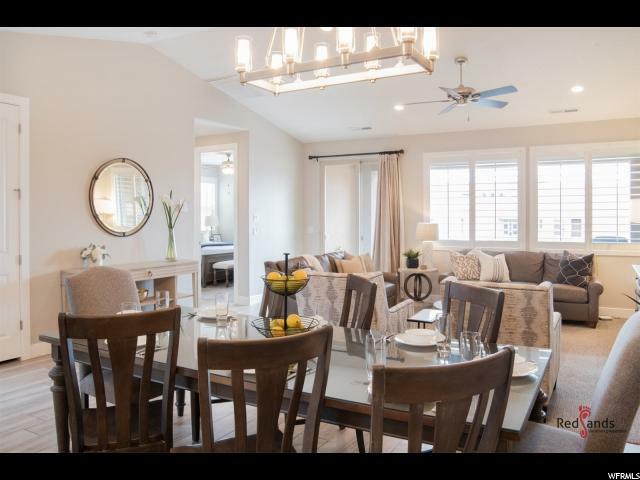 Views, bright open floor plan and quality finishes, make this home prefect for family and entertaining. Call to start making your memories." "Spacious home on quiet street in a desirable family neighborhood with a park and walking trails. Four bedrooms plus a huge bonus room/5th bedroom, and 4 full bathrooms. Recently remodeled modern kitchen with granite counter tops and brand new appliances. New carpet, tile and luxury vinyl flooring throughout. 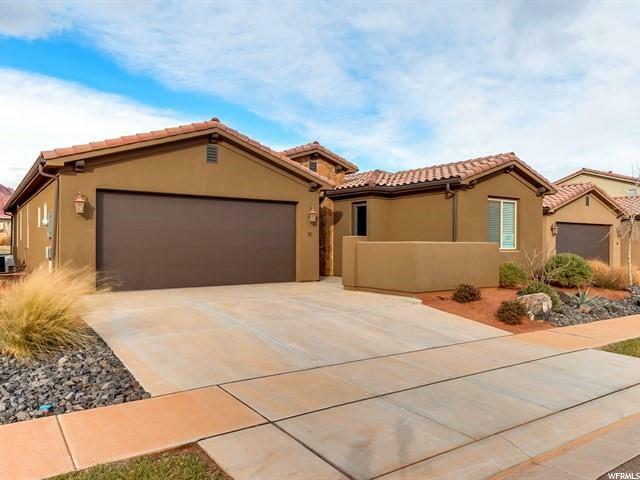 12 foot ceilings in office, formal living room with gas fireplace, master bedroom with jetted tub, 3-car garage plus RV parking, all with gorgeous views of the red mountain and Snow Canyon. Square footage figures are provided as a courtesy estimate only. Buyer is advised to obtain an independent measurement." " Beautiful and spacious! Home features 6 bed/3 1/2 baths. Plus a bonus 7th room perfect for food storage, workout room etc. Gorgeous red mountain and Pine Valley Views off the back deck. Granite kitchen and wood floors, custom fireplace." "Better than new, move in ready Bella Sol home. This perfectly located home has all the upgrades, tumbled travertine, gorgeous cabinets, granite countertops, fireplace, shutters & upgraded window coverings. Master suite with heated jacuzzi tub, oversized walk in shower and closet. Beautifully landscaped front and back yard, with covered patio perfect for evening BBQ's, astroturf and beautiful flowering plants. Murphy bed is excluded. " Equity Real Estate - Premier Elite © 2008 Chobeso Inc., All Rights Reserved.